Around the $20 (which is almost the same in GBP these days) there are a number of items which would make a great gift for any ukulele player out there. I’d be more than happy with any of the below (hint hint). If you’ve just bought someone their first ukulele then a clip-on tuner is pretty much a necessity. 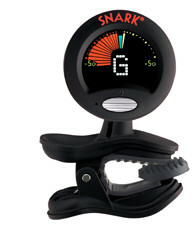 Snark’s SN6 does a brilliant job and will make sure that ukulele is always in tune. A regular capo tends to be a bit heavy and too wide to push too far up the neck of your uke. Grab yourself a uke capo and you’ll get more out of your uke. It will give you the opportunity to play a few more songs. Spare strings are a gift that no ukulele player would turn their nose up at. 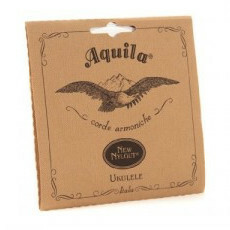 Every ukulele needs it’s strings changed now and again and Aquila’s New Nylgut sound great. 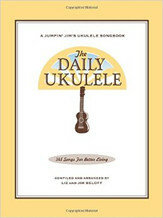 Jim Beloff’s giant songbook has 365 ukulele arrangements for you to try. Perfect for the individual and great for groups. It’s certain to have more than a few songs for anyone. The Makala Waterman is the take-anywhere waterproof plastic ukulele that’s ideal for outdoor types. It can take a beating but it’s plenty playable too. It has to be said I’m pretty jealous of luthiers that can build ukuleles from just raw materials. This kit is about the closest I’ll ever get. Looks like a fun project, I doubt you’d get the greatest ukulele in the world but it would be fun to make it. 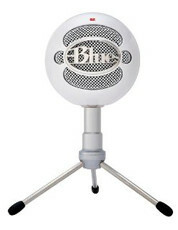 This is the microphone I use for all my recordings. Minimum fuss with great acoustic recordings. It’s powered by USB too. Well worth a look. Now we’re talking. Whoever is on your christmas list is one lucky person! 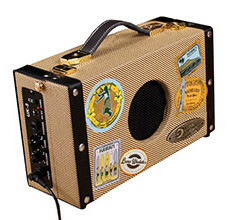 Luna’s vintage style suitcase amp is pretty cool looking. It has guitar strap holders so you can strap it on, plug in your uke and you’re away. It opens up for easy battery changes and has a compartment for your keys, phone – whatever. Hopefully there are a few ideas on that list to help you out. Personally, I’d be happy with any of the above but we’ll have to wait and see what Santa brings for me this year. Something challenging to both non-player, beginner and advanced player? Those wooden building blocks with chord boxes printed on them look very classy and old-school. Builds towers, arcs and walls as well as songs. Justecordes.fr has a ukulele stand that’s doubles as a chord cheat sheet. All wooden stands are a gift hit, and displaying your instrument will mean it gets played more often. And rubber ink stamps! The tab grid ones, as well as one of a nice ukulele. Most method books and song books are well below this category, so why not combine some? Even better: a magazine subscription! 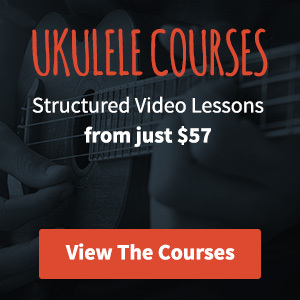 Want something big and ukulele-shaped under that Christmas tree? A case might be a great idea. If the recipient is not satisfied, just rest your case.